For an individual taste of holidays right in the middle of Carinthia’s centre of thermal water, the apartment house Bergland is the places to be. 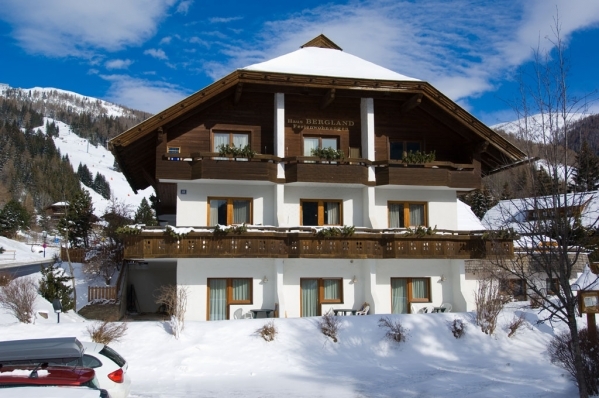 A vacation in Carinthia after your own taste is offered to you by the apartment house Bergland, which is situated right in the midst of Carinthia’s hot spring region around Bad Kleinkirchheim. Spend an amazing time in the cosy apartements. Step into the ski area of Bad Kleinkirchheim with the ski lift situated right in front of the apartment house Bergland, make yourself at home in the vital oasis or enjoy the sightseeing in St. Oswald. Here you definitely can leave boredom at home. Choose your ski vacation adventures from over 100 km of ski slopes, cross country skiing tracks and sleigh tours. Afterwards you can relax in the spas of Bad Kleinkirchheim. All those features help you to complete your perfect vacation in Austria. Spend your challenging hiking vacation with a lot of different mountain tours in spring, summer or autumn. Vacation offers build for families, naturalists and individualists – find out for yourself! Want to get a holiday? Here is some information you may be interested in!